Mackevision created VFX for short movie “Best Friend”, created for animal rights organization PETA, also marked the launch of the first element in Mackevision’s character pipeline: Emotional Creatures. A total of 22 Mackevision artists worked on the 13 VFX shots for the TV spot over a four-month period. The challenge: not only did the piglet have to look cute, he also had to look deceptively real. Bringing a real, live animal to the shoot was out of the question. “It contravenes PETA’s guidelines to involve live animals in any way,” confirms Julian Körrenz, the project’s Compositing Lead, as he explains this unusual challenge. The only things on set were the actors and the scenery – plus Rouven Dembrowski, the project’s VFX Set Supervisor. His job was to be the on-site contact person, point out possible implementation issues – and capture the lighting mood in HDRIs (High Dynamic Range Images) as well as shoot photographs so the environment could be reconstructed at a later stage using photogrammetry. The pig was finally brought to life by building up an “imitation version”. 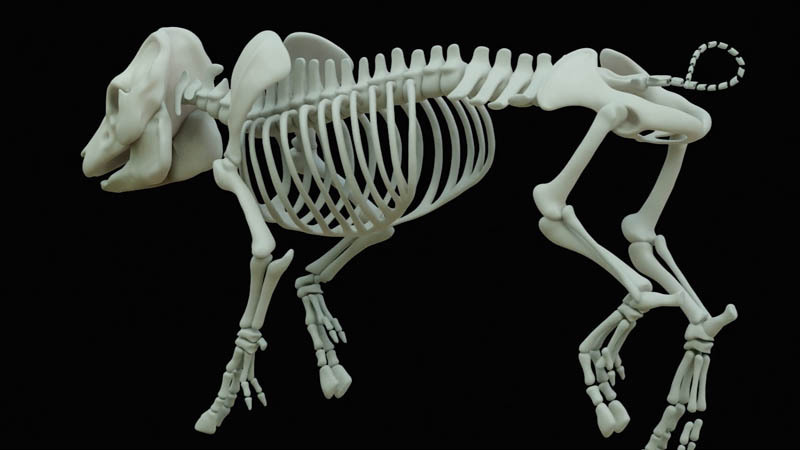 This means creating a skeleton, then the muscles, fascia, fat, skin and fur – layer by layer, right up to the finished animal. And all anatomically correct. For the movements to look real, for example, the muscles must be attached to the right bones. Just like the original. This project also represents the first element our character pipeline. “We can now offer our customers a truly exceptional portfolio,” confirms Körrenz. As well as creatures, products include digitally created scenery (matte paintings), crowd replication and simulations of tricky phenomena such as water.